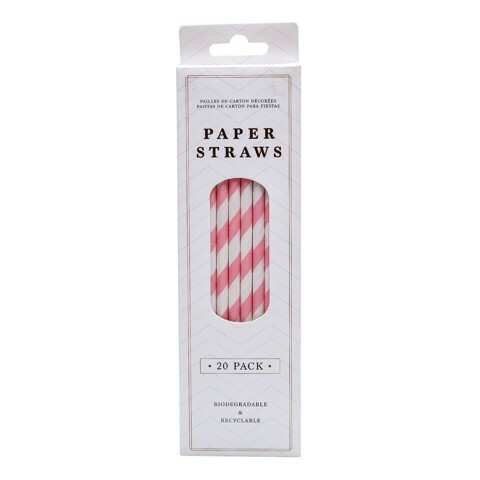 Party Paper Straws 20Pk Pink . Length: 19.5cm l Inner Dia: 5mm l Outer Dia: 6mm. Pink. 310gsm Paper. 33g Packaging: Shrink Wrap with Hang Tag and Colour Label.